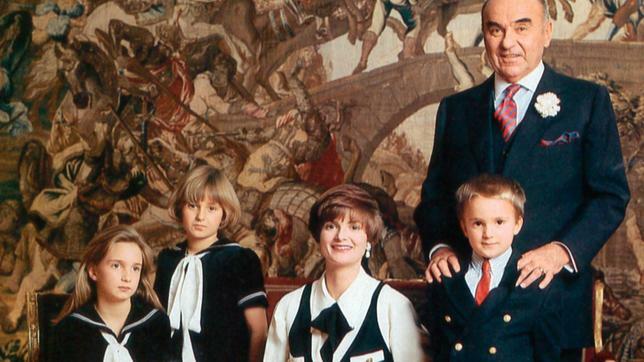 The Thurn und Taxis family isn't just famous for their fabulous wealth, estimated at around $ 2.5 billion today - even though Princess Gloria of Thurn und Taxis says it less than a billion - but also for their lifestyle to go along with it. In fact, Princess Gloria of Thurn und Taxis may single-handedly be the most famous member of the German nobility in Germany. Why? Well, for many years she was "Princess TnT", "the dynamite socialite" and "punk princess". She was 20 when she married Prince Johannes of Thurn und Taxis, a man 34 years her senior. Journalists at the time certainly noted that he needed an heir for his fortune, which originated from the founding of Europe’s postal system in the 15th century, but still both led a fabulous life of partying and more partying together. To go along with it, they had no less than seven castles, a hunting lodge and several other homes around the world at their disposal. According to reports, the Fürst retained 70 liveried footmen at his primary residence, the 210,000-square-foot Schloss St. Emmeram in Regensburg - they lived like bees in clover. However, everything came crashing down in 1990. Prince Johannes died after a failed second heart transplant within seven weeks. At the time before his death it also became apparent, that the family's fortune was dwindling based on poor investments and lax management. 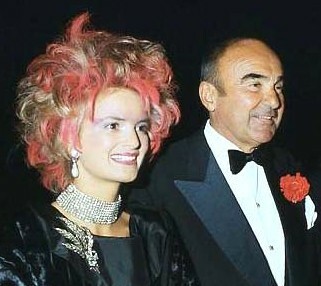 As Johannes' and Gloria's son Albert was only seven years old at the time of his father's death, it was the Princess who left the partying days behind her, took over management of the family's estates and saved them from ruins - and so the story of the Thurn und Taxis inheritance is usually a story about the punk princess turned business woman. However, behind this story, there lies a more interesting one: Contrary to reports at the time and to this day, Prince Johannes never actually owned the largest chunk of his family's fortune. Sure, he had private assets that were nothing to sneeze at, but he never was the owner of the grand Thurn und Taxis wealth. Instead, his son Prince Albert, the 12th Prince of Thurn und Taxis, was the first one to actually own the family's fortune is decades. Similar to what we can see in the Sayn-Wittgenstein-Berleburg family, the inheritance skipped a few generations to save death duties. The will of Prince Franz Josef of Thurn und Taxis (9th Prince), whose only son died during World War II, stipulated that the (yet unborn) heir of his brother's grandson were to inherit the family's massive assets including the largest privately owned forests in Europe. So while after Franz Josef's death in 1971, his brother Karl August became the 10th Prince of Thurn und Taxis, he never owned the family furniture. The same goes for Johannes, Karl August's son and Albert's father, who became the 11th Prince in 1982. Prince Albert was only born a year later in 1983, 12 years after the death of Franz Josef who made him his heir. In the meantine, however, the Thurn und Taxis saved inheritance taxes not once but twice. If inheritance had gone the usual way, they would have needed to pay taxes on the death of Franz Josef in 1971, then again in 1982 when Karl August died and a third time in 1990 at the time of death of Johannes. While the 10th and 11th Prince of Thurn und Taxis never technically owned the assets, they still were the ones in sole control as the main administrative authority of the family's fortune. There must have also been a stipulation in the will, that it would only come into force if all in line to the headship of the House of Thurn und Taxis before Prince Albert had passed away. It means that the will didn't come into force when Albert was born in 1983 and not when he turned 18, but instead in 1990. At the tender of seven, he had become a fabulously wealthy young boy - who also inherited about 400,000,000 million Deutsche Mark in debts (rougly 200 million euros) and who had to pay 45 million Deutsche Mark in death duties. As you can imagine, coughing up half a billion in liquid assets isn't an easy task even for a Thurn und Taxis. Somehow Princess Gloria managed it by selling jewels, art and everything else that held value, and striking deals with the state of Bavaria about opening a museum at their palace for the items given to the state to be put in and thus holding the family fortune together. 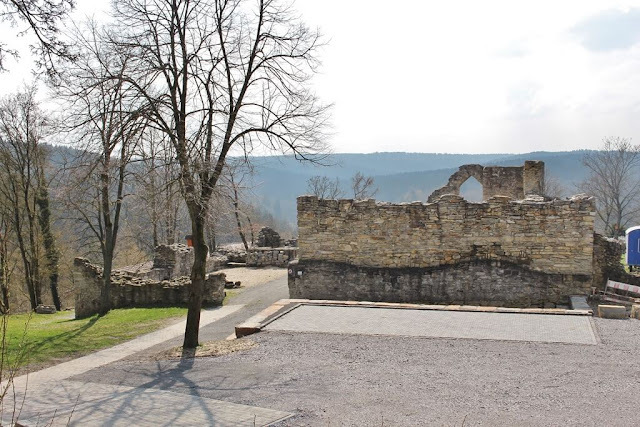 Thus, the story of the Thurn und Taxis inheritance is usually and understandably about her. While neither she nor her two daughters got any of the large Thurn und Taxis wealth in favour of their son and brotehr Albert, they still got shares of the "small money" Prince Johannes owned privately. In Germany, there is such a thing a legal portion, which is also another angle to this story. Under German law, you cannot easily disinherit your wife or children. So if you own 100,000 euros and have three children, each child would usually legally inherit one third of your money. If you disinherit them, they, however, would still have the right to have half of their legal share. In this case roughly 16,666 euros. Had Prince Johannes owned whatever the family is exactly worth, his wife as well as his daughters would have been entitled to half of their legal share, which would have meant a fragmentation of the family's assets. So, will Prince Albert come up with a similar construction once he has children of his own? I'm sure he has some experts to help him with the pitfalls and loopholes of German laws, However, it seems to me that the same constructions of skipping generations as in the Thurn und Taxis and Sayn-Wittgenstein-Berleburg cases are not possible anymore. While I'm certainly no expert in inheritance laws, there have been some changes in recent years and one paragraph now states that only persons living at the time of the accrual of the inheritance can become heirs and that those who weren't born yet but already conceived are considered living at the time of the accrual of the inheritance. So no more generation-skipping it seems.